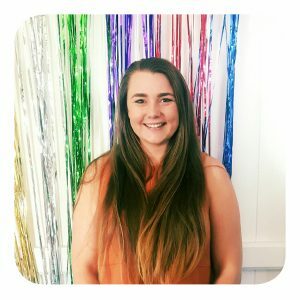 Introducing superstar Elloise who has made the transition from Young Consultant to Community Facilitator. Elloise shares with CREATE what it’s like being on the other side, and what opportunities she’s had since being involved with CREATE. I am 25 years old and live in Brisbane. I am a mum of two girls and spend most of my free time going on adventures with them. We love to experience new things even if that is just a new food or visiting a place we haven’t been before. You’ve transitioned from Young Consultant to Community Facilitator. What’s it like to work for CREATE? I have been a CREATE Young Consultant for about 10 years and love it! Now I am working as a Community Facilitator on the TransUP project. It is great working for CREATE! The Queensland team is really great to work with. I especially am realising exactly how much behind the scenes work goes in to ensure that as young people we get some great experiences. Tell us about your role as Community Facilitator. My role in a nut shell is contacting young people and distributing the Go Your Own Way kits to young people that are beginning their planning for transition to independence. It’s an amazing resource to help young people have the knowledge to actively participate in their transition to independence plan. At the moment I am also helping out as we are setting up our brand new Queensland office in Townsville. So I do a lot of odd jobs that will help our new team in Townsville have an office that is all ready to go. Recently you were involved in a presentation for our corporate sponsor Aon. What was that like? Wow, that was a crazy experience! Usually as Young Consultants we are talking to people who work in or have knowledge of the out-of-home care sector but this was a Board that was made up of business people. So I really spoke about the things CREATE does and how CREATE makes us feel connected, important and motivated to make positive change in others’ lives out of our sometimes negative life experiences. I love getting to do new things that push me out of my comfort zone so this was right up my alley. What advice would you give young people in care who are about to start their transition to independence? Transition to independence is a journey that is exciting and terrifying all at the same time and that is completely normal. My advice is to make sure you participate in all planning that is about you and your life. You’re the one living it. Make sure you find people who are on your team, helping you advocate for what you need. And finally ask questions. If you don’t understand or don’t have enough information ask. You want to be sure that you have all the information, you need or want while you have people to ask. Interested in a job at CREATE? Check out current vacancies page for all available job opportunities.